From Cate & Levi, the same eco-dad designer that creates sweet plush toys, zoo cubes and puppets from reclaimed wool, comes a collection of framed animal wall art that’s perfect for baby’s nursery. Like the fab finds we told you about before, each one is handmade from reclaimed wool in Toronto, Canada. Every creation from hippo to dog is one- of-a-kind since it’s made from whatever wool scraps are available. The animal art is mounted on natural cotton canvas and framed in a 9 x 9 inch solid wood frame. 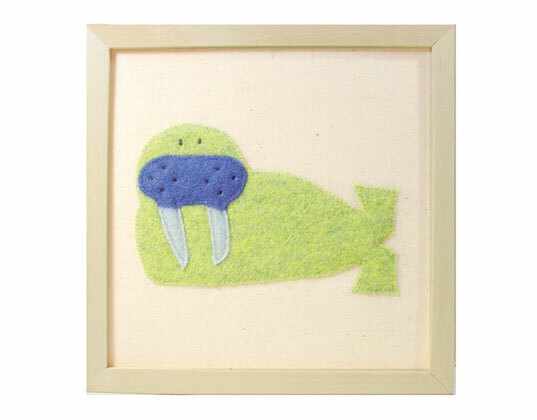 From Cate & Levi, the same eco-dad designer that creates sweet plush toys, zoo cubes and puppets from reclaimed wool, comes a collection of framed animal wall art that's perfect for baby's nursery. Like the fab finds we told you about before, each one is handmade from reclaimed wool in Toronto, Canada. 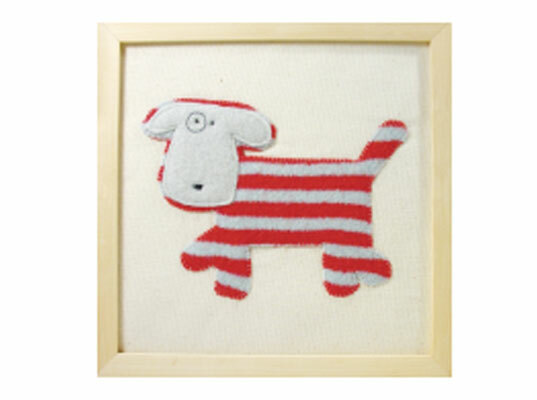 Every creation from hippo to dog is one- of-a-kind since it's made from whatever wool scraps are available. The animal art is mounted on natural cotton canvas and framed in a 9 x 9 inch solid wood frame.